The air at 20,000 feet above Schweinfurt, Germany, was icy cold, but the bombardier crouching in the nose of the B-17 hardly noticed. Sweat poured down his forehead as flak rocked the aircraft, periodically spattering his compartment's Plexiglas bubble with fragments. He focused intently on preparing for the final bombing run. 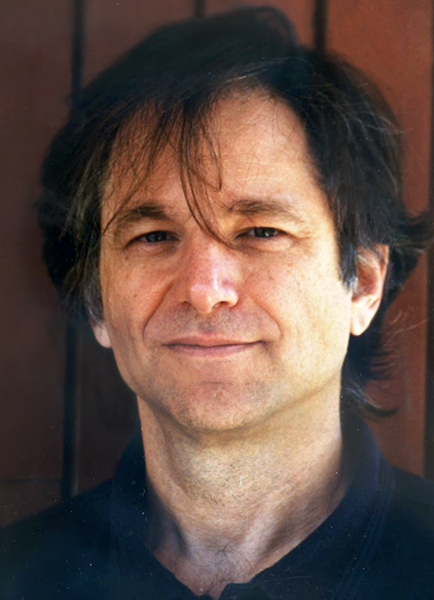 Leonard Adleman was one of three researchers at MIT who invented public key cryptography. RSA Cryptography is the world’s most widely used public-key cryptography method for securing communication on the Internet. Here is the list of this year's inductees. By John H. White, Jr.
Two immense side-wheel steamboats lined up a few minutes before 11:00 am on June 1, 1845 at the foot of Vesey Street on the tip of Manhattan. Inside each pilot house, some 30 feet above the water line, were the boats’ owners—industrialist Cornelius Vanderbilt and George Law—two immense egos who had decided to race 66 miles race upriver to Sing Sing. The gleaming tk-foot-long Cornelius Vanderbilt. By now, in the second decade of the 21st century, even pointing out the cliché has itself become a cliché. Namely, the frustrated tongue-in-cheek query favored by stand-up comics, science fiction geeks, social commentators, and technology critics: where’s my flying car? Which is generally followed by yet another tired old chestnut: the observation that the question has come to symbolize some failure of technological optimism, scientific advancement, or the supposed predictive powers of science fiction. Fifth Avenue is the parade route for St. Patrick’s Day; three blocks to the east is Park Avenue. Many honorary Irishmen arrive from points east on that day, so police usually block motor traffic from a stretch of Park Avenue north of Grand Central Terminal. To a person waiting to meet friends at the corner of East 47th and Park, this looks like a fine stretch of midtown Manhattan, where the breadth of the avenue gives it a more spacious feel. There is a parkway with a grassy margin separating the streets, and glossy buildings with shops that front on the wide sidewalks. so much of our working lives. Every day we devise more efficient systems, come up with fresh ideas, and create new opportunities. What circumstances, environments, and particular factors spawn creativity and bring breakthroughs? Unlike buildings, which typically have their structural skeleton cloaked in an architectural façade, most bridges let it all hang out. What you see is all that a bridge has to hold it up. Bridges show their engineering like no other technological artifact does. The structure is the architecture. As long as there are history books, Neil Armstrong will be in them. In May 1961, President John F. Kennedy had committed the nation “to achieving the goal, before the decade is out, of landing a man on the Moon and returning him safely to Earth.” On July 20, 1969, Neil Armstrong commanded the Apollo 11 mission that simultaneously ended the Soviet-American space race and met America’s goal with more than five months to spare. In perhaps the most famous scene of any Bond film, secret agent 007 lies strapped to a table with his legs spread. Archvillain Auric Goldfinger directs an industrial laser toward Bond’s manhood, and slowly the thick red beam surgically cuts the table in half. The secret agent calmly convinces his foe to shut off the laser in the nick of time. In the mid-1960s Don Bitzer, the director of the Coordinated Science Laboratory at the University of Illinois at Urbana–Champaign, was tasked with creating the first computer-based instructional system. He recognized immediately that current screen technology would support such a program. A new, brighter display was needed, one that had no flicker and boasted higher contrast than what was then available on screens using cathode ray tubes. THAT WAS AN EXCELLENT article on the substance that fixes anything and everything, duct tape (“Object Lessons,” by Curt Wohleber, Summer 2003). A student in my heat-transfer class last spring semester made a book bag entirely out of the tape, complete with pockets for a calculator and pencils. I found it a classic example of the innovative spirit. Here is a picture. HENRY FORD WAS INDEED A GREAT IN novator (“Henry Ford’s Big Flaw,” by John M. Staudenmaier, S.J. ), but I question that those are “6000-horsepower gas-turbine engines in the powerhouse” shown on page 38 of the Fall 1994 issue. The prime movers driving the dynamos appear to be cross-compound Corliss steam engines. Gas turbines didn’t become available for industrial use until well after World War II. During World War II, South Carolina–born Charles Townes worked on nascent microwave technology and designed radar-based bombing systems for Bell Labs. After hostilities ended, he accepted a position at Columbia University. One spring morning in 1951 he experienced a eureka moment when he realized he could generate microwaves with molecules instead of free electrons. On December 23, 1947, in the Bell Telephone Laboratories at Murray Hill, New Jersey, physicists John Bardeen and Walter Brattain spoke over the world’s first transistor-amplified telephone circuit, a quarter-inch-tall device composed of a thin strip of gold foil sliced in two in order to create two metal contacts over a crystal of germanium. Their success was the culmination of eight years of research conducted alongside their team leader, 37-year old William B. Shockley, and triggered a wave of new electronics. One morning in April 1938, 27-year-old DuPont chemist Roy J. Plunkett cracked open the valve of a pressurized canister containing tetrafluoroethylene (TFE) gas in preparation for an experiment. Much to his irritation, the canister that he had filled the night before appeared to be empty. His assignment had been to find a replacement for the refrigerant Freon 114, on which Frigidaire currently held a monopoly. To conduct his scheduled experiment that morning, he needed to release some TFE into a heated chamber and then spray in hydrochloric acid.